As part of a consulting project I am involved in, I have created a list of acronyms and terms that are used in manufacturing and industrial automation. These are terms and acronyms from Lean/Six-Sigma, controls, electronics, business software and general corporate use. Part of the reason I did this is to ensure that everybody is on the same page when discussing different topics; everyone’s background is different and especially with acronyms, some are duplicated. I plan to update this list regularly since it seems like a good resource. Please throw any of your own ideas in! 5S – Sort, Set in Order, Shine, Standardize, Sustain. (Seiri, Seiton, Seiso, Seiketsu and Shitsuke). Andon – System to notify management, maintenance, other workers of a quality or process problem via signal lights or audio. Best Practices – Method or technique that has been generally accepted as superior to any alternative because it produces results that are superior to those achieved by other means or because it has become a standard way of doing things, e.g., a standard way of complying with legal or ethical requirements. CE Marking – A certification mark that indicates conformity with health, safety and environmental protection standards for products sold within the European Economic Area. ERP – Enterprise Resource Planning, automating back office functions. ERP II – Expanded ERP, goes beyond corporate walls to interact with other systems. Web based software that provides real-time access to ERP systems for employees and partners. FMEA – Failure Mode Effects Analysis. A step by step approach for identifying all possible failures in a design, a manufacturing or assembly process, or a product or service. “Failure mode” means the ways or modes in which something might fail. Lean Enterprise – A practice focused on value creation for the end customer with minimal waste and practices. Lean Manufacturing, “Lean” – Systematic method for waste minimization (Muda) without sacrificing productivity. Muri – Waste created through overburden NEC – National Electrical Code. A US design standard on electrical wiring and equipment. NPN – Type of transistor used for sensors, “Sinking”. NVA – Non Value Adding operations. PID – Proportional Integral Derivative. A method of process control. PNP – Type of transistor used for sensors, “Sourcing”. Time and Motion Study – evaluation of personnel/human activities. TPS – Toyota Production System, flexible mass production. UL – Underwriters Laboratories. An American safety, consulting and certification company. Value Stream Mapping – Lean management method for analyzing the current state and designing a future state for a product. Charts a series of events that takes a product or service from its beginning through to the customer. Focuses on areas of a firm that adds value to the product or service. Also known as material and information flow mapping. 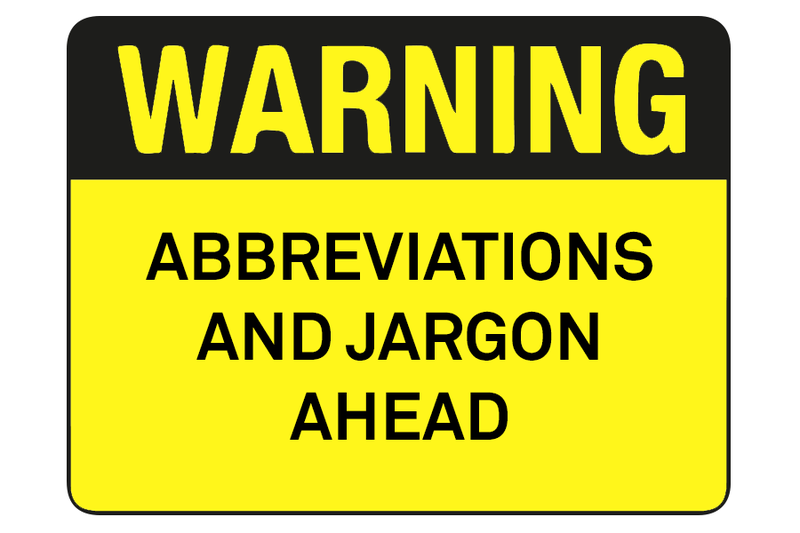 Part of the purpose of this list is to illustrate that words and acronyms can mean different things to different people, especially from different disciplines in the workplace. Make sure that you and the person you are communicating with are “on the same page”!